Oregon PUC Draft Solar Report: When the Oregon Public Utility Commission (PUC) released the first draft of its solar report to the legislature, we had a lot to worry about. The report suggested making major changes to net metering and solar incentives from ratepayer funds with little discussion. A few workshops and two drafts later, the report is in better shape. It’s not perfect by any means but it’s not a dangerous document. There are still lots of questions it leaves in its wake but discussion around those questions can continue. Most concerning is the overall context for solar’s growth. There seems to be a sense that because solar is growing now that perhaps the industry can survive on fewer incentives. OSEIA’s main argument has been that while the solar industry’s growth has been strong, any major changes to the existing incentive infrastructure will cause that growth to slow. We’ve seen some of that playing out in Washington state as their legislature failed to continue some incentives and we’re hoping to avoid those same situations in Oregon. We’ll be able to provide better context of our own through the Oregon Solar Business Plan that OSEIA is currently developing. Look for more information on that below. There will be a special public meeting on October 18 at the PUC where a final report should be adopted. Community Solar Rulemaking (AR 603): There have been two workshops on developing rules to implement the community solar policy that the legislature adopted in February 2016. The law requires that rules be adopted by July 1, 2017. Parties at the table include OSEIA, several of our member companies, many public interest groups and the utilities (Portland General Electric, Pacific Power, and Idaho Power). It’s clear there are a lot of issues to work through between now and next summer. OSEIA’s Community Solar sub-committee will be meeting by the end of the month to begin to work through how community solar should work from project development through customer subscriptions and getting credits on individual utility bills. That way, we hope to provide some structure to the overall conversations. If you’re not on the sub-committee and are an OSEIA member but would like to take part in the sub-committee, go here to sign up. A scheduling poll to put together the next meeting will be going out soon. Oregon Solar Business Plan: OSEIA believes the solar industry needs to be able to outline the potential for solar in Oregon, from rooftop to large-scale solar. We have engaged the Green Energy Institute, affiliated with Lewis and Clark Law School, to conduct the research on solar’s potential over the next 10 years. We are expecting to have initial findings by mid-November and a final product before February 1, 2017 as the legislative session gets underway. 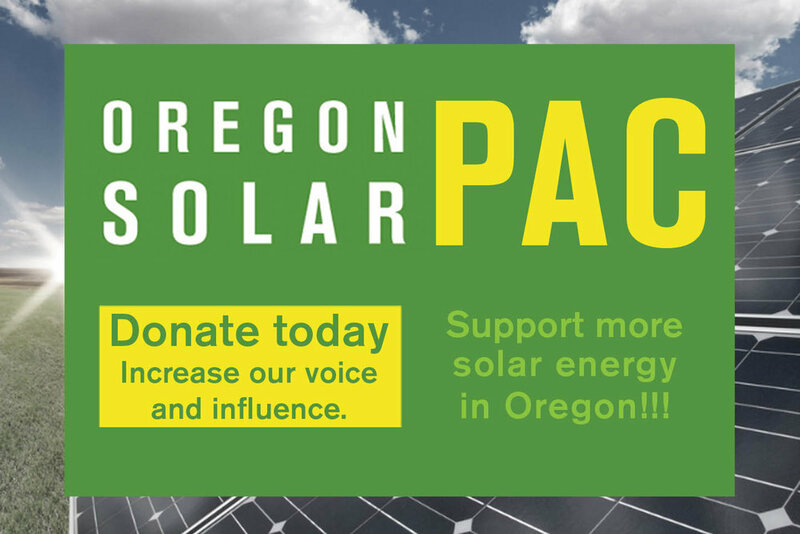 Several OSEIA members and supporters are contributing special funding to undertake the development of the Oregon Solar Business Plan. If you’d like to discuss contributing, please contact OSEIA Development Director Craig Ernst at craig@oseia.org. Rating Policy Proposals: Over the summer, many OSEIA members suggested potential policies to expand solar in Oregon. In the end, about two dozen identifiable suggestions were submitted (many more than that, of course, submitted concepts; those added up to about 24 separate ideas). Over the course of the past couple of months, OSEIA members have been rating those ideas. Have you had a chance to take a look and rate the ideas? If not, you have until the end of the week (October 21). So take a minute and go here to offer your two cents! After the election, the OSEIA board will take a look at all the ratings and ratify a final agenda with solar’s priorities for 2017. You’ll be able to hear about those priorities on November 17 at the NW Clean and Affordable Energy Conference in Portland, being co-hosted by the NW Energy Coalition and OSEIA. Go here for more information and to sign up for the conference.